A trade war is a negative supply shock, and central banks cannot counteract the negative effects of current policies on real incomes in the United States, the United Kingdom, and many other countries. Only voters can do that. CAMBRIDGE – The world is in a trade war, and there is no sign of peace breaking out anytime soon. By now, the disruption to trade appears extensive enough to factor negatively into forecasts for economic growth. Does that mean the Federal Reserve should stop gradually raising interest rates? The answer is no. Monetary policy cannot mitigate the damage done by foolish trade policies. The biggest trade conflict is between the US and China. In January, the US is scheduled to raise recently imposed tariffs from 10% to 25% on Chinese imports worth $250 billion. President Donald Trump has also threatened to impose new tariffs on the rest of Chinese imports, worth $267 billion. He will meet with Chinese leader Xi Jinping at this week’s G20 summit in Buenos Aires. Some hope that the two leaders will achieve a major breakthrough in the trade impasse. But that seems unlikely, partly because the US demands are either beyond China’s capacity to deliver (such as a substantial reduction in the bilateral imbalance) or are too fuzzy to be verifiable in the short term (such as ending forced technology transfer). It is a truism among the economically literate that there are no winners in a trade war. 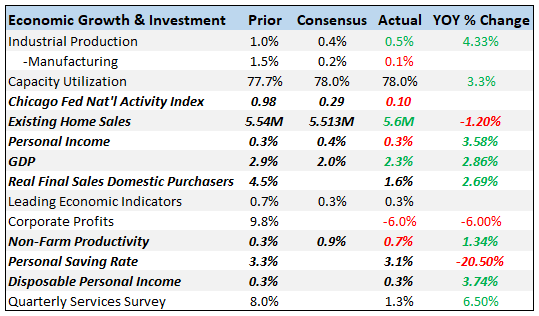 But it is also true that even relatively large statistical effects for individual economic sectors tend to have a relatively small impact on quarterly GDP, at least in the short run. The discrepancy partly reflects the dominant share of services in modern advanced economies, relative to manufacturing and agriculture. As the trade war broadens and deepens, however, economic-growth forecasts around the world are darkening. The OECD just became the latest international agency to downgrade its global growth forecast, from 3.7% to 3.5% in 2019 and 2020. The trade war appears to be among the reasons for a renewed slowdown in China. The Chinese slowdown, in turn, will have spillover effects on other countries, especially commodity exporters.